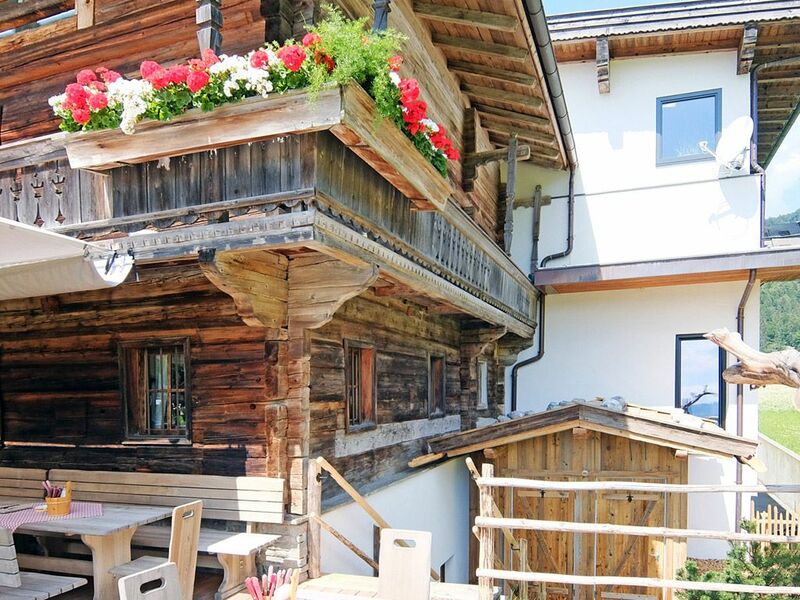 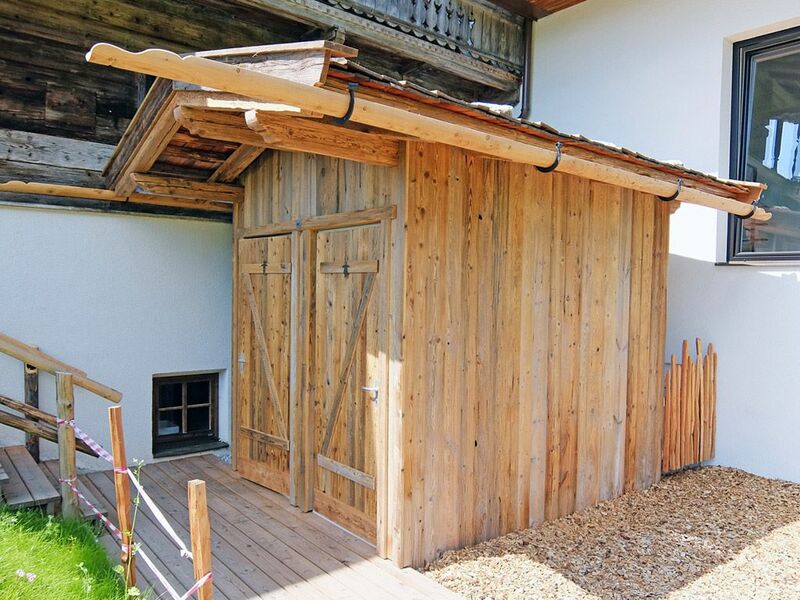 The "Wilde Käser" in Tyrol boasts traditional cheese specialities. 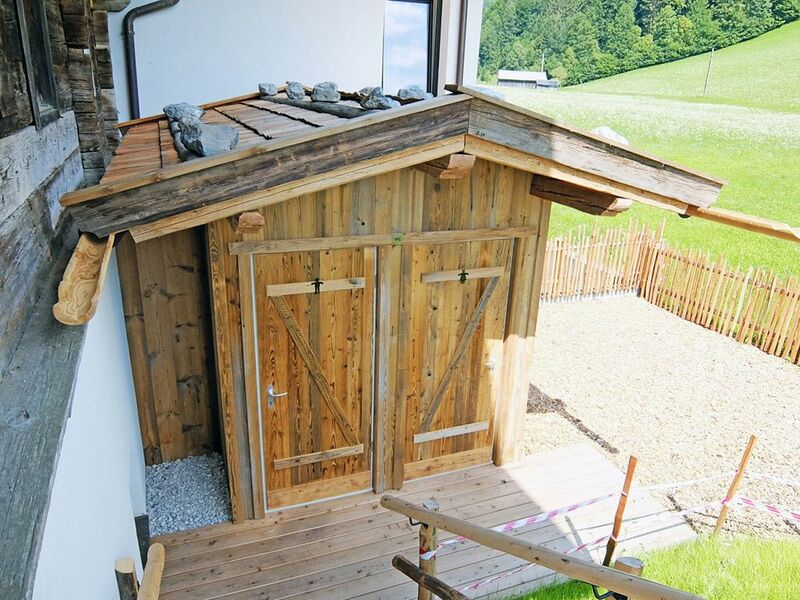 For this reason, real regional matured timber was used as exterior cladding for the 7 m² sanitary cabin. 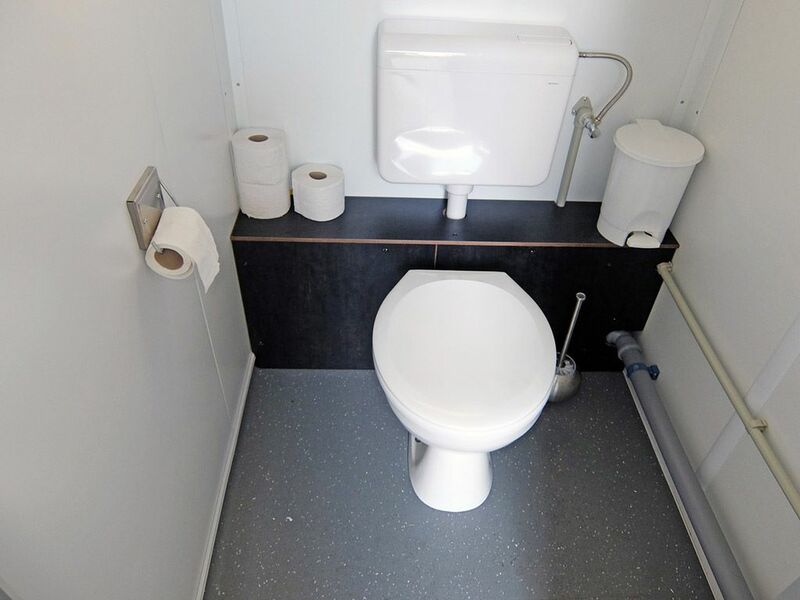 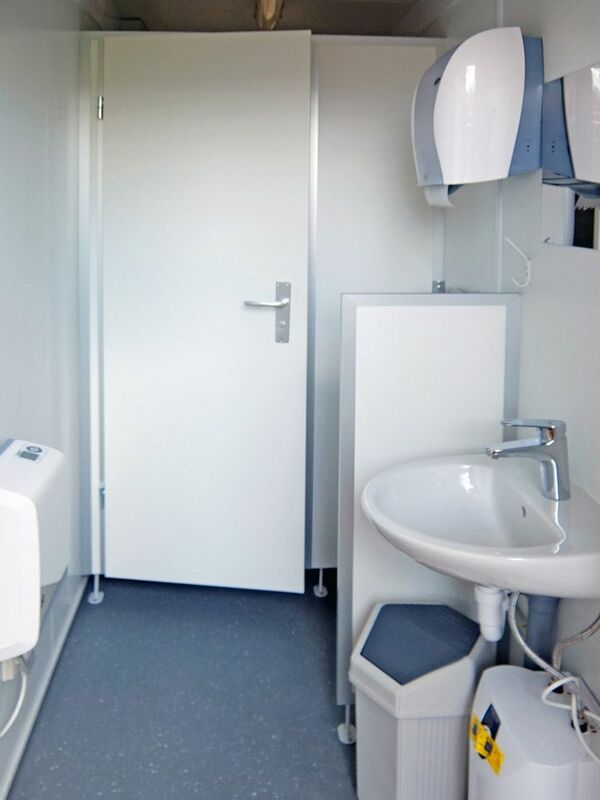 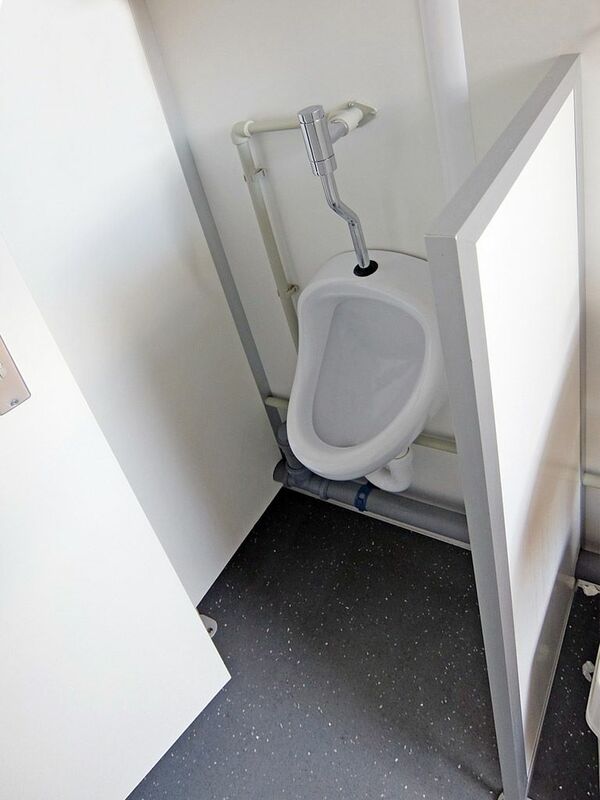 The mobile WC cabin looks like an alpine hut, integrating perfectly into the environment, and has separate areas with fresh water.